You fought not only the enemy but you have fought prejudice and you have won. 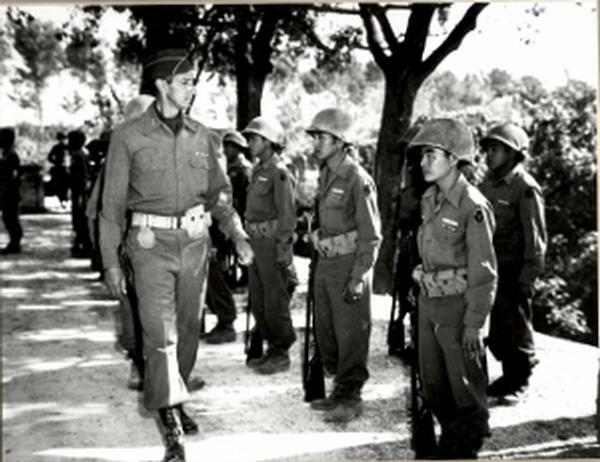 The 100th Infantry Battalion/442 Regimental Combat Team, made up of mostly Japanese Americans from Hawaii and the concentration camps on the mainland, became legendary because of their exploits in Europe during World War II. In just 225 days of combat between 1944-45, the 442nd compiled a remarkable record and became the most decorated unit for its size and length of service in American military history. The 4,000 men who initially came in April 1943 had to be replaced nearly 2.5 times. In total, about 14,000 men served, ultimately earning 9,486 Purple Hearts , 21 Medals of Honor and an unprecedented eight Presidential Unit Citations. 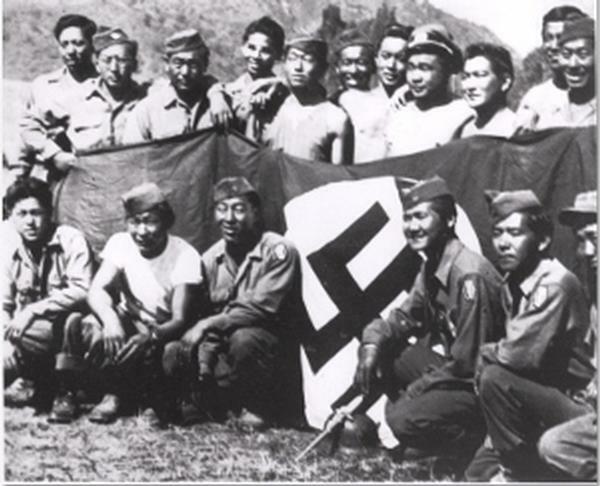 The first Japanese American combat unit was the 100th BN, which was formed in June 1942. The unit was composed of Hawaiian volunteers and draftees. After extended training in Camp McCoy in Wisconsin and Camp Shelby in Mississippi, they were sent to Italy where they fought in numerous battles such as Anzio. The 100th Battalion's high casualty rate at Anzio and Monte Cassino earned the unit the nickname, "Purple Heart Battalion." After registration in early 1943 ("loyalty questionaire"), about 1200 incarcerees from the WRA camps and many more from the Hawaiian islands volunteered for the segregated 442nd Regimental Combat Team. After training at Camp Shelby, they were sent to Europe where they joined the already battle-hardened 100th BN. The 100th became the first BN of the 442nd. The 100th was allowed to keep their designation because of the outstanding record that they established. The 552nd Field Artillery BN of the 442nd RCT was one of the units that liberated a satellite camp of Dachau, the infamous Nazi concentration camp. Perhaps the most famous of the 442nd accomplishments was the heroic rescue of the Texas "Lost Battalion" which had been caught behind enemy lines. In a ferocious battle, the 442nd suffered over 800 casualties (including 184 killed) to rescue 211 members of the Texas battalion. The record of these men in uniform was crucial in creating acceptance of Japanese Americans during resettlement as well as passing the Civil Liberties Act of 1988. The Nisei troops are among the best in the United States Army and the respect and the appreciation due honorable, loyal, and courageous soldiers should be their’s rather than the scorn and ridicule they have been receiving from some thoughtless and uninformed citizens and veterans.